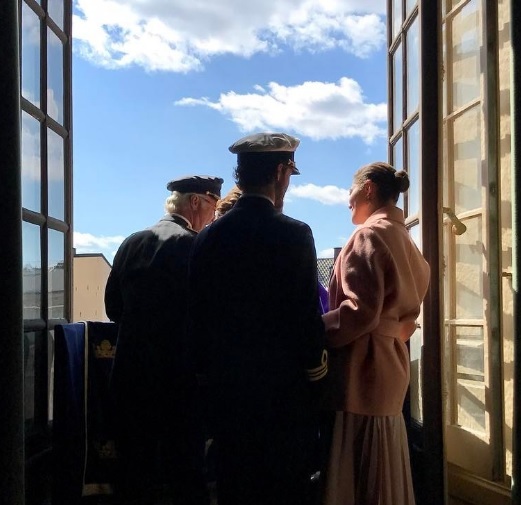 A picture paints a thousand words so what appears on the official royal accounts of image led Instagram should tell us reams about how the ruling houses of Europe see themselves. The photos they share let us know what they think is important now - and how often we like them says right back what we rate about royalty in 2017. The most popular Instagram posts of May paint a picture of what matters about royalty right now. Which makes Princess Charlotte very important indeed. 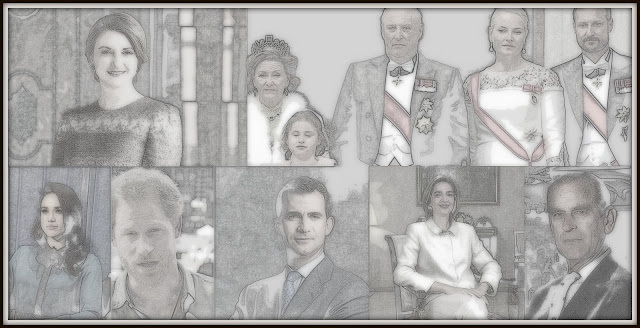 May is almost done leaving a long list of royal memories. Many of them are your everyday, routine, is that a ribbon you're cutting or a plaque you're unveiling kind of thing that pass into a mass of similar events dotted throughout the year. But others are stand out regal moments that have left their mark and then some, becoming landmarks in the royal 2017 that will linger long and take on a meaning all of their own. Here are five royal reasons to remember May 2017. The Duke and Duchess of Cambridge have two new helpers in their Heads Together campaign. 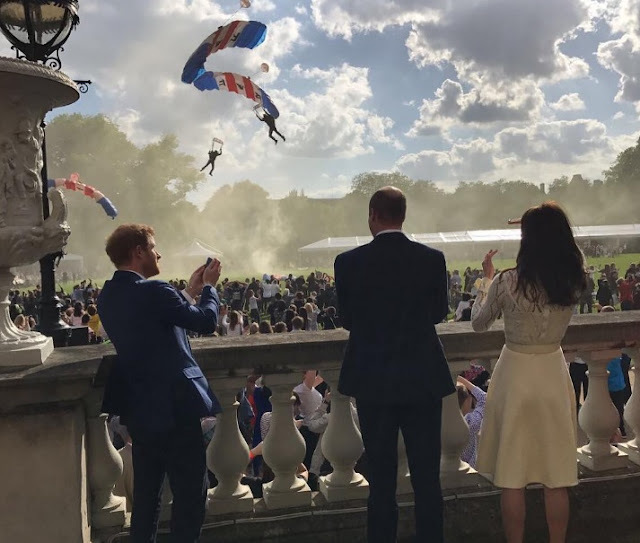 While William and Kate have been behind this initiative with Harry for over a year, the royal trio have been joined by another prince and princess. George and Charlotte are starring in a new photo as their dad talks about mental health with GQ magazine. Bank Holidays are all about taking it easy and relaxing. No need to think too hard, how about a few photos? 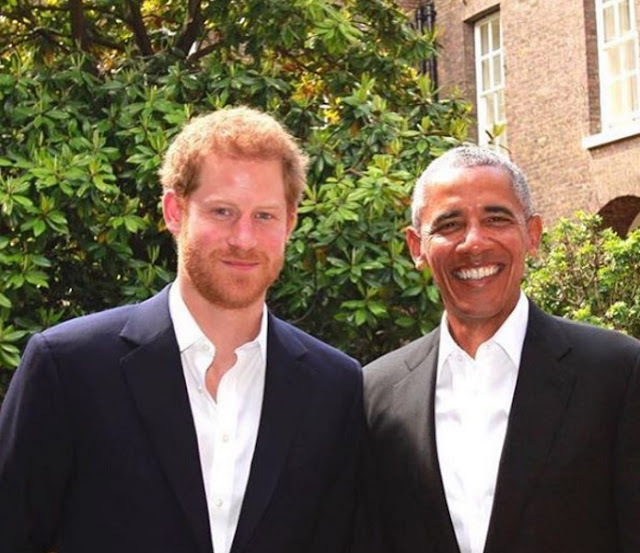 Prince Harry has had a busy month this May. To get it all in one place and remember just what a stand out month it's been for him, here are some of the best photos of Harry in May. Bank Holiday sorted. The art of being royal can be tricky sometimes in the 21st century. Part of the mystique is the unchanging nature of the institution but to remain the same when everything else is different is a challenge. We want modern royals to be in touch with how people feel but we also want silent, elegant figureheads who do the whole smile and wave without causing, well, waves. 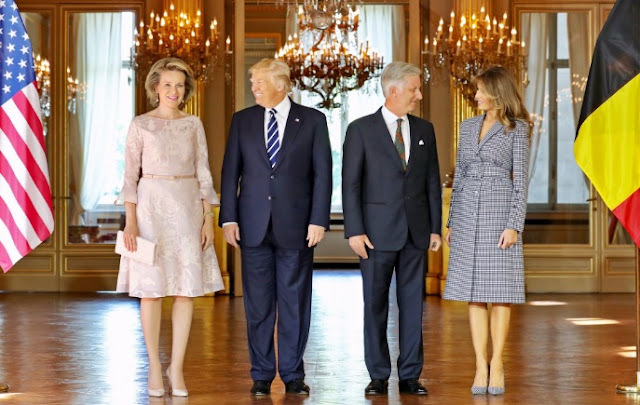 So let's take a moment to appreciate the King and Queen of the Belgians who this week took on a headline grabbing couple of days and sailed through them with flying colours. This is what happened when Philippe and Mathilde met the President of the United States of America. It wasn't just the glassware that was sparkling in Amsterdam on May 23rd 2017. 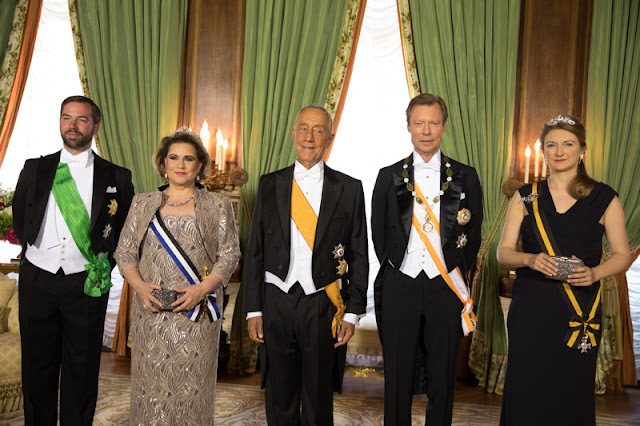 The Dutch Royal Family hosted the annual Diplomatic Corps Dinner at the Royal Palace and brought out some of their grandest and glittery tiaras. 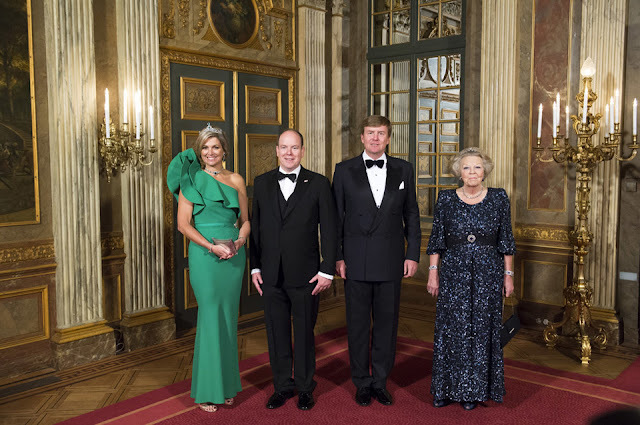 Pearls, diamonds and emeralds were all on the menu - settle back and enjoy the sparklers worn by the royal women of the Netherlands at this important. yearly event. The Queen has visited Manchester today to meet some of those injured in Monday's bomb attack. The Queen spent time with some of those still being treated at Royal Manchester Children's Hospital this morning and told them that the bomber was 'very wicked'. The bomb went off at the end of a concert by Ariana Grande at the Manchester Arena. Twenty two people were killed, many of them children and young people. 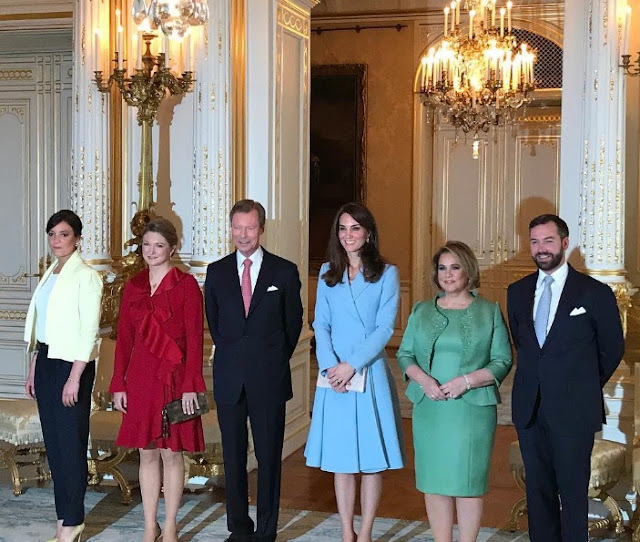 The Portuguese State Visit to Luxembourg might not be the highest profile royal event of recent weeks but it's packing sparkly punch. Once we'd all stopped wondering why Stephanie has taken to holding her increasingly large clutch bags in front of her tummy over the past week or so, we got down to some serious diamond counting. There were no big surprises but plenty of stones - here are the State Dinner Sparklers when Luxembourg welcomed Portugal. The royal wedding of Prince Joachim and Marie Cavallier might have been relatively low key but that didn't mean a full on white frock and tiara were out of the question. When Joachim and Marie said 'I do' on May 24th 2008, we got a lace confection with diamonds and train. Here's a look back at the dress worn by Marie of Denmark on the day she became a princess. The Queen has, this afternoon, led thousands of people in a minute's silence to remember those killed in the Manchester bomb attack. The silent tribute took place at the Buckingham Palace Garden Party. Joined by the Duke of Edinburgh, the Prince of Wales, the Duchess of Cornwall and Princess Eugenie of York, the Queen bowed her head to remember the 22 people killed on May 22nd 2017 by a bomber as they enjoyed an Ariana Grande concert at the Manchester Arena. Sofia of Sweden in her emerald tiara If there's one thing a royal bride need, it's a tiara. And like many a royal bride before her in the last twenty years or so, Sofia had none to call her own. So she got one as a gift instead. That wasn't where the party stopped. 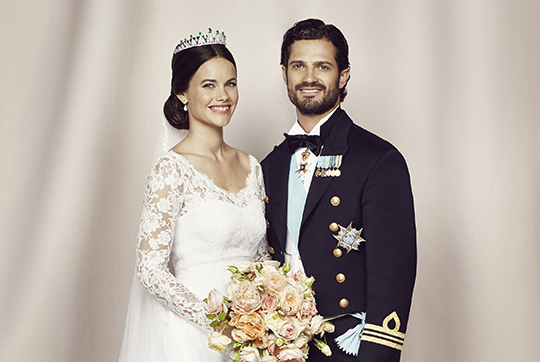 Sofia's wedding tiara was topped with emeralds meaning Sweden finally got a modern green gem of a diadem to call its own. 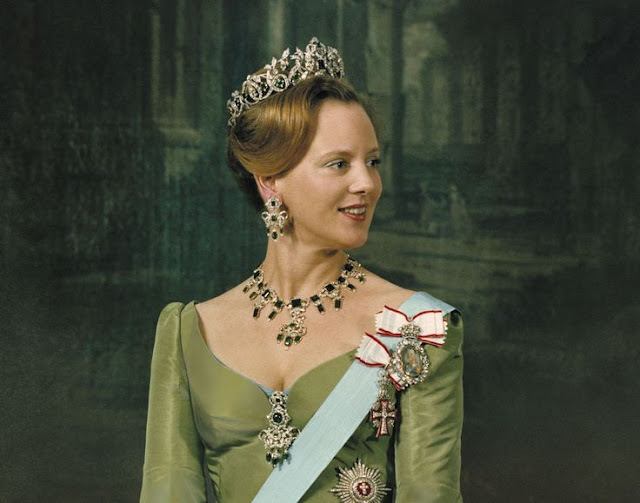 Here are Emeralds for May, Swedish style. When you're royal, something borrowed takes on a whole new meaning. And when you're a TV presenter with no tiara to call your own marrying a future king, then there's really only one thing you can take loan of for your big day. 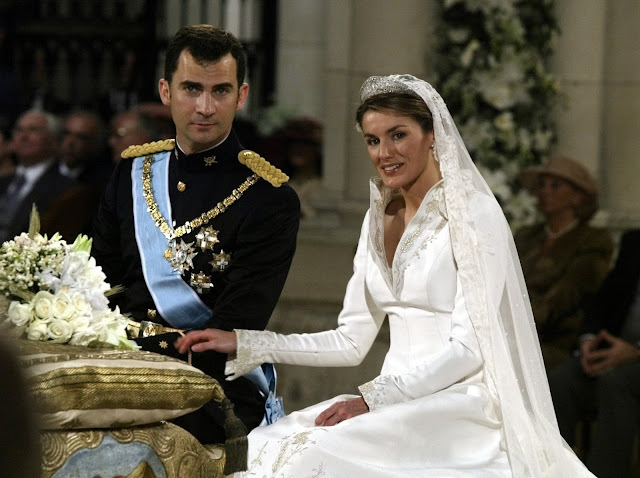 Letizia of Spain borrowed her mother in law's wedding tiara when she said 'I do' to Felipe on May 22nd 2004. She couldn't have made a more symbolic choice because this tiara has serious royal wedding history. 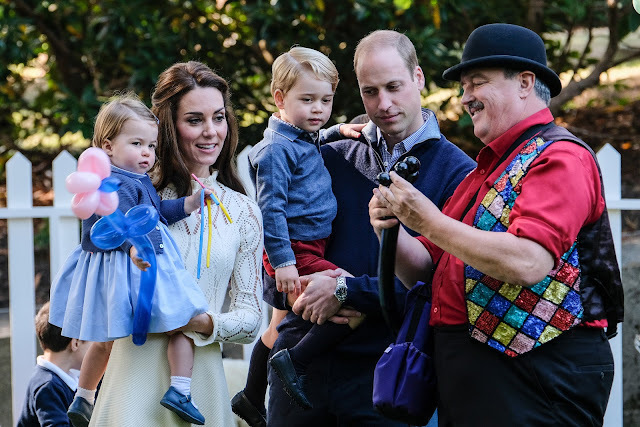 Prince George and Princess Charlotte have completed a royal rite of passage - their first outing as page boy and bridesmaid. The third and fourth in line to the throne were among the attendants at the marriage of their maternal aunt, Pippa Middleton, who wed James Matthews at Englefield this morning. Mummy Kate was on hand to keep the two in hand and everything, as you'd expect, looked rather lovely. Here are the first photos of George and Charlotte's wedding debut. Summer is on its way and the royal choice of clothes is starting to reflect that. Summer can be a difficult season to live up to what Diana so famously called 'The Princess Expectation'. She said people have an expectation of what royalty looks like but the happy, strappy style of summer is often one step removed from how we think regal dressing works. So as we head towards that chic trap, here are five outfits attempting to royally negotiate their way into summer and you get to pick which one does it best. The poll is on the right (you might need to switch to web view) and the results here on Tuesday. In the meantime, enjoy the sunny style. It's one of the most striking and difficult to wear tiaras in modern Europe but there's certainly no forgetting this one. Like it or loathe it, the Luxembourg Emerald tiara won't ever be missed. It's a bit of a favourite of Grand Duchess Maria Teresa and its green stone has some very green and very royal credentials. For this standout set of jewels was made of gems rattling around looking for a home. That's real royal recycling. 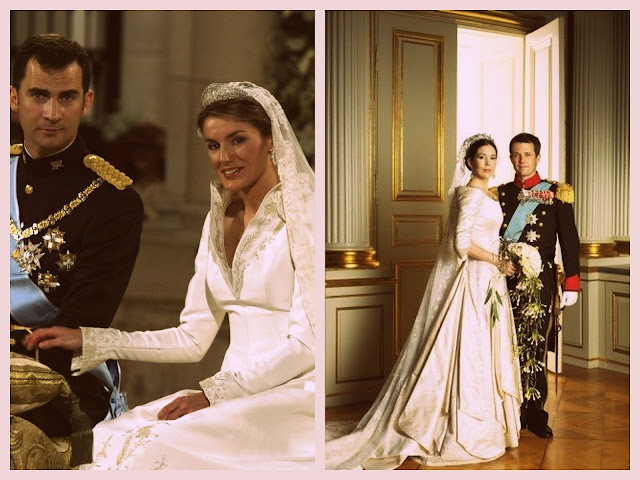 Thirteen years ago this month, we were awash with royal weddings. 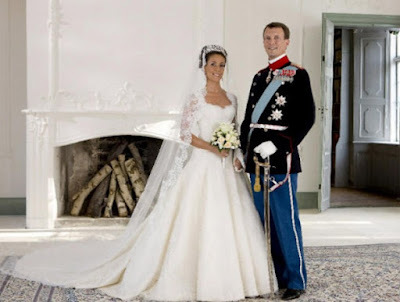 Frederik of Denmark and Felipe of Spain married within eight days of one another but while the grooms might have put the royal into these royal weddings, it was the brides everyone was most interested in seeing. Mary Donaldson and Letizia Ortiz followed almost parallel paths from engagement to altar. Now, all these years on, here's a look back at two royal brides for the history books. The Duke of Cambridge has won an award for his work supporting the LGBT community and focused his acceptance speech on trying to stamp out bullying. 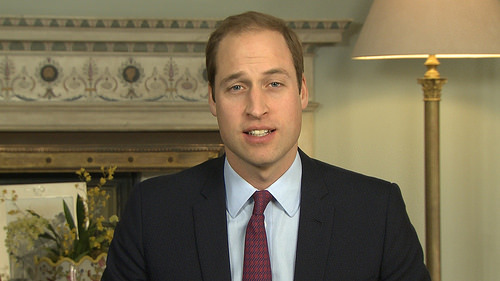 William was given the Straight Ally of the Year prize at the annual LGBT awards following a year which has seen him speak out about ending homophobic bullying. They were once so close but in recent years have been very far apart. 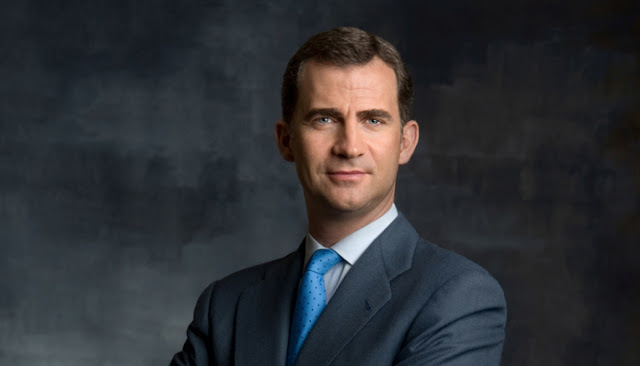 King Felipe VI of Spain and his sister, Infanta Cristina, even got into a public debate about how she lost the title of Duchess of Palma. The issues were caused, of course, by the Noos case which saw Cristina become the first member of Spain's royal family to sit in the dock facing criminal charges. 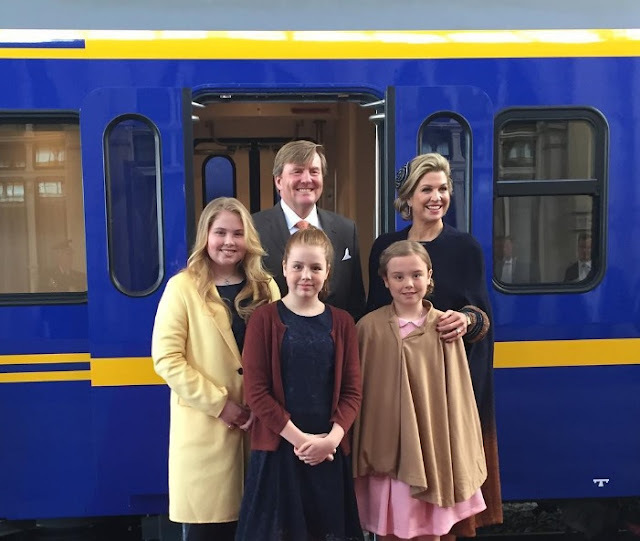 On May 11th 2017, for the first time since her acquittal, the royal siblings met in public. 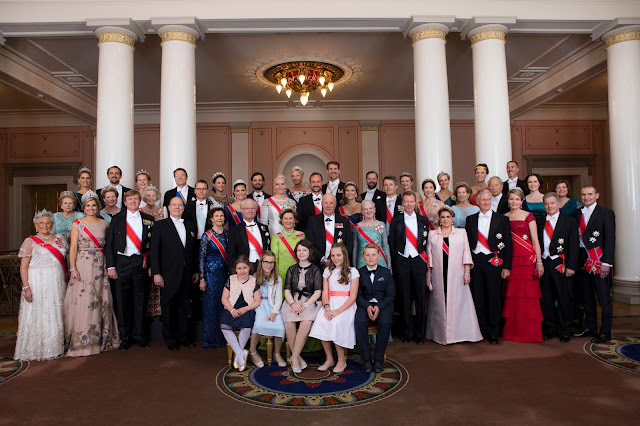 The 80th birthday celebrations for King Harald and Queen Sonja of Norway have come to an end. We've had two days of parties, singing, glitter and galas and along the way we got several surprises. From losing facial hair to laughing princesses, here are five surprises from Norway's royal birthday party. They promised us a sparkling event and they made good on the glitter. 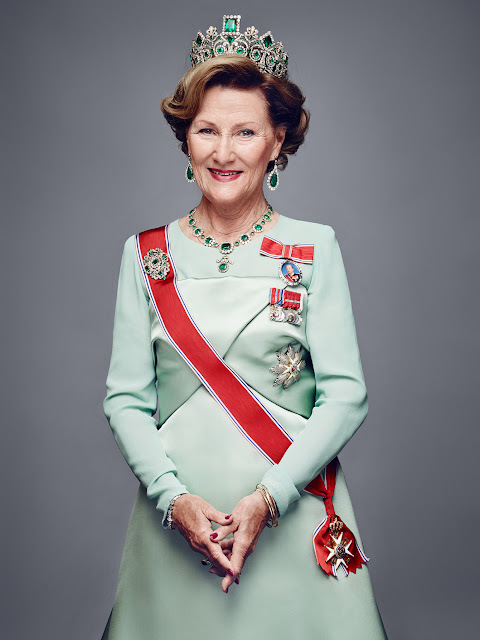 As King Harald and Queen Sonja of Norway marked their 80th birthdays with a gala in Oslo, there were tiaras as far as the eye could see. Queens and princesses from across the continent brought out the bling providing a feast of fabulousness that was almost too much to take in on the first look. So settle back and enjoy a whistlestop tour of all the sparklers brought to this major royal event. Spot the royal. Chances are wherever you look in the photo above, you'll find at least one king, queen or heir to the throne. Harald and Sonja of Norway have begun the celebrations to mark their 80th birthdays and a right royal do it's turning into already. May is all about emeralds. This stunning green stone isn't as well used as diamonds, sapphires, pearls or rubies in royal jewellery but when it stars, it really stars. There is no missing its deep colour or the way that light dances through and around it. And as all royal roads lead to Norway this week, let's put the two together and enjoy a stand out set of emeralds to celebrate. Here are Emeralds for May, from Norway. King Harald and Queen Sonja of Norway are very busy indeed right now. As you would be when royals from around Europe are joining you for a two day extravaganza to mark the fact you're both turning 80 this year. We're used to major celebrations for major royal birthdays but in a 21st century change of script, this regal bash is being prepared on social media. The papers have been full of royal news this week but while the Duke of Edinburgh's impending retirement gets coverage inside the Sundays, it's another prince who makes the front pages. Harry and Meghan are headline news this weekend. 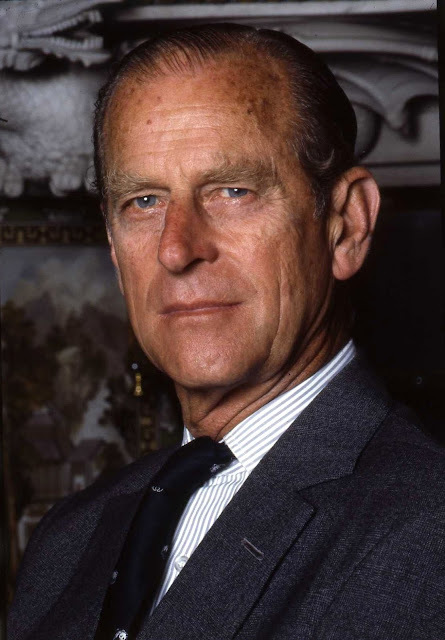 We're all just about over the emergency caused by the emergency all staff meeting at Buckingham Palace which led to the announcement that the Duke of Edinburgh was retiring from public life. That news dominates the royal week, and rightly so, but the ruling houses of Europe packed in plenty of other activity while Philip got ready to stand down. 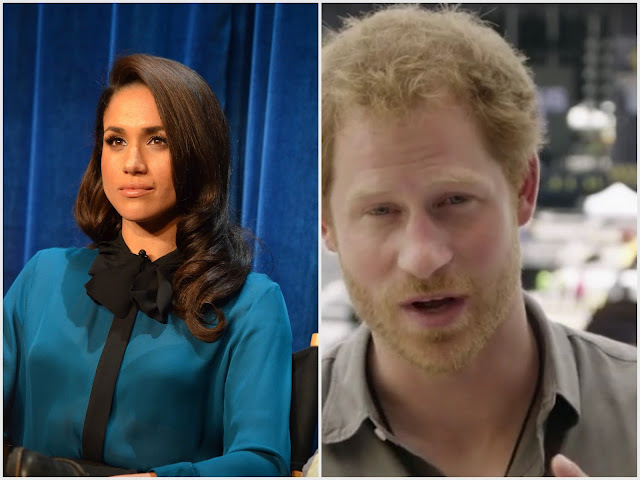 In case you missed it, here's a quick round up of the royal week. The Duke of Edinburgh is retiring from public life. 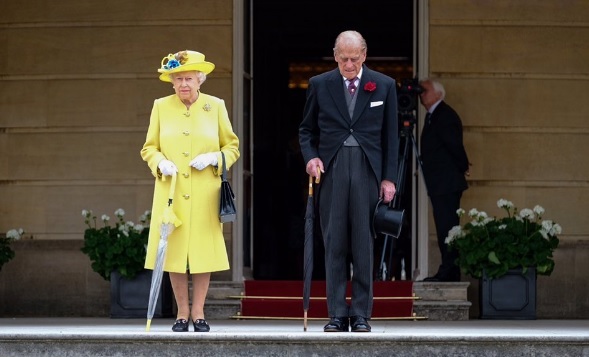 Buckingham Palace confirmed that Prince Philip, who is 95, will step back from August 2017. Want to see a duchess feeding a lamb? Step right this way. Two hundreds years ago or so, royalty and nobility went through a pastoral phase where everything was big hats, huge skirts and shepherd's crooks. 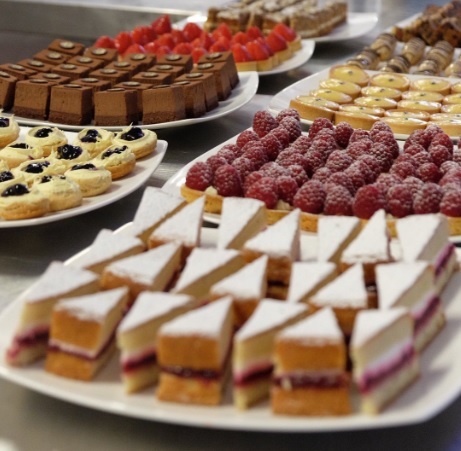 Think Marie Antoinette at Le Petit Hameau and you get the picture. Royalty on the farm 21st century style is slightly different. 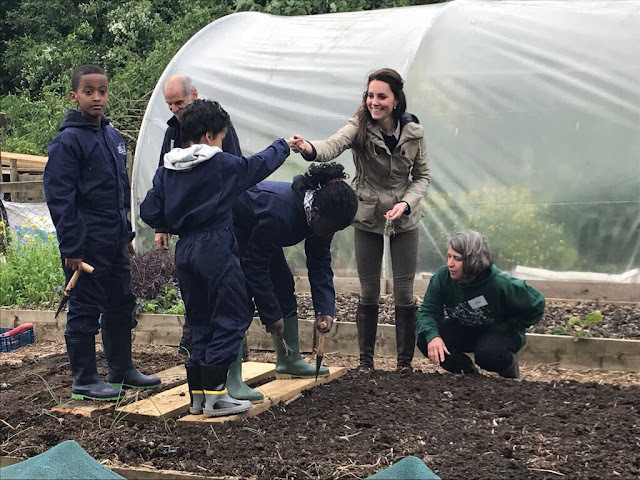 Today, the Duchess of Cambridge headed to rural Gloucestershire to see a project that helps city kids learn about farming. And there wasn't a big hat in sight. Just a lamb. You wait for the lamb. There is a focus, like never before, on remembering Diana in 2017. As the 20th anniversary of her death approaches, memories of the princess are ever more present. Since Diana died following a car crash in Paris on August 31st 1997, her life and work have been commemorated but never like this. The princess whose passing was mourned around the world is being remembered and celebrated on a global scale this year, too. Here are five ways Diana will be remembered in 2017. 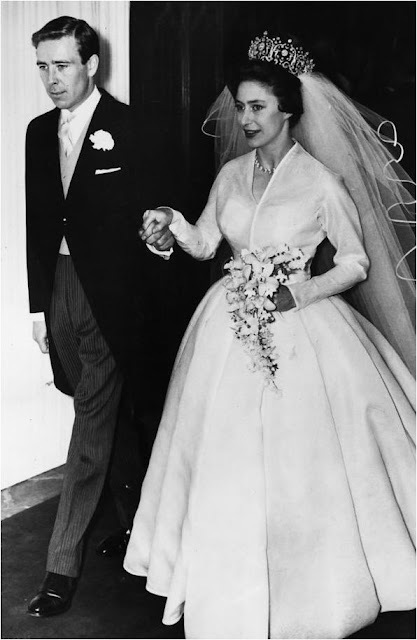 May weddings have been popular with royal brides in the 21st century. 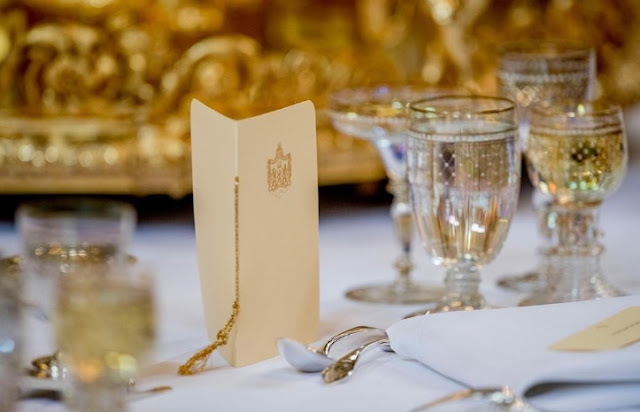 Maybe it's the hint of summer in the air, maybe it's the fact it's not holiday season so there's no need to co-ordinate invitations with royal holiday plans - whatever it is, several very famous royal brides of the last fifteen years have said 'I do' in the month of May. Here are five women who walked down the aisle and into royal history in May. 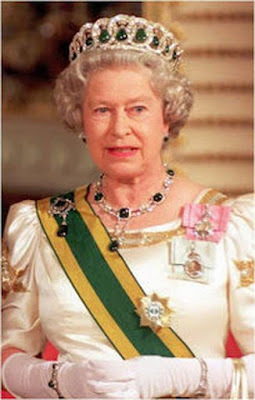 May is filled with royal birthdays with queens, heirs, princes and princesses among those celebrating. 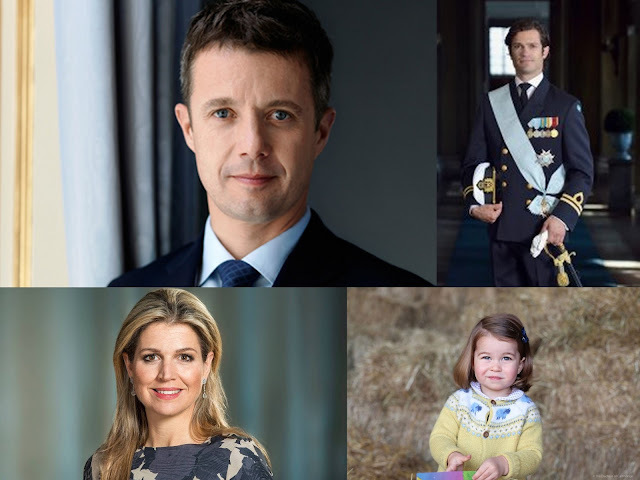 They're all special days in their own way from Princess Charlotte turning two to Crown Prince Frederik of Denmark notching up the final birthday of his forties. Here are ten royal birthday being marked in May. 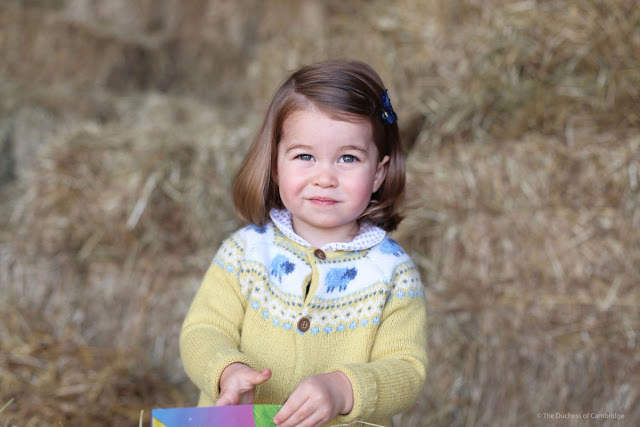 Princess Charlotte of Cambridge is two on May 2nd and being an organised young royal, she's got the official birthday portrait out of the way early leaving plenty of time for cake and balloons on the big day itself. On Bank Holiday Monday, the littlest princess of the House of Windsor starred in a new snap, taken by her mum, to mark turning two. And very nice it is, too.